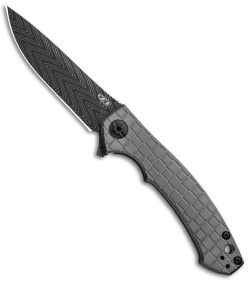 We will only accept online orders for this knife, no phone/email orders will be accepted. 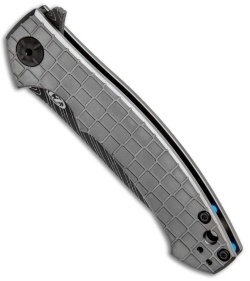 Due to the high demand for this knife, customers are limited to just one (1) knife per household and/or credit card. Anyone who attempts to purchase more than one ZT 0450FCDAM will have their order(s) cancelled. Thank you for your cooperation. The 0450FCDAM is an impressive Factory Custom knife brought to you by ZT and Dmitry Sinkevich. 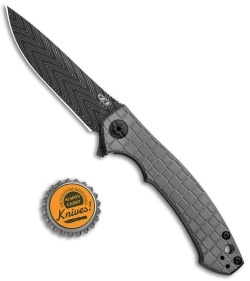 Its blade is made from Devin Thomas herringbone stainless Damascus steel. 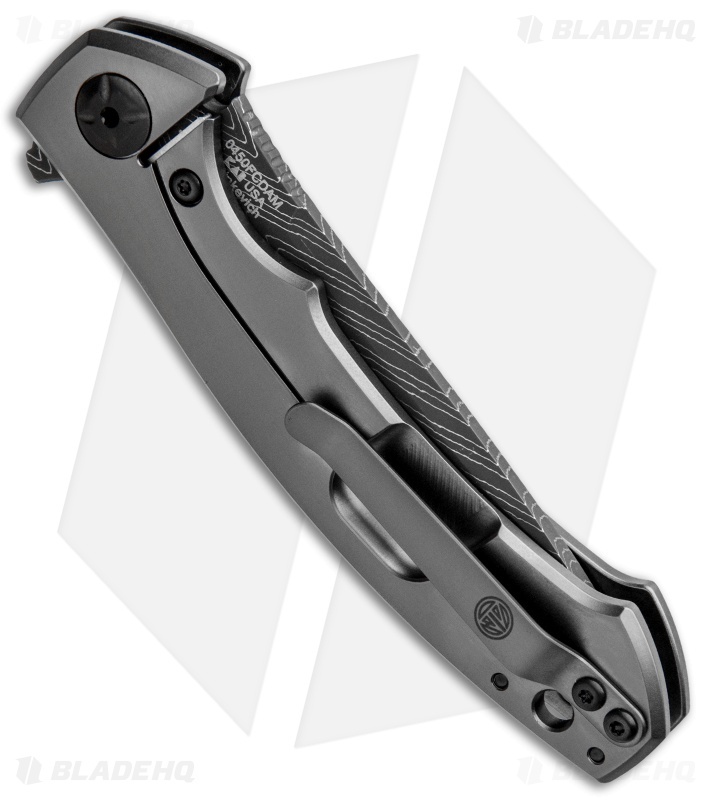 The titanium frame lock handle features a unique block pattern and a durable gray PVD coating. This knife is outfitted with custom hardware and pocket clip with a Sinkevich logo made by Dmitry Sinkevich himself. The Dmitry Sinkevich designed ZT 0450 knife is a compact version of the award-winning 0454 folder. A flipper and the KVT ball-bearing pivot produce reliable, quick one-hand deployment.